Do you work for Blackboard? Learning about Blackboard Learn? We can help. "very flexible in accommodating varied needs, but counter intuitive and old-school"
It is very flexible in letting you create your course structure and grading system. It allows you to set automated dates of deploying/concluding the course or you can go with the normal semester dates and forget about it. The concluded courses can be saved to the corporate drive or can be exported to your own archive. When you post announcements, it deploys instantaneously online and via email, and you can include a link to files that might pertain to the announcement. It is counter-intuitive and has a sharp learning curve. No visual help is provided and feels old-school. Every time you want to activate the course and customize it, it's painful because over the year you tend to forget the path you must take, and it is a PATH, like digging through the multiple hierarchy settings of an old phone. It should be starring you in the face, in visual format, no in a tree-expanding format! It is a good choice, but there may more modern looking/easier to use alternatives out there. At any rate, if the price is right, this is a solid system. Keeps the class well informed and you can share documents and various other files with the class. You can track how many users accessed the resources you provided. I like the way how they are able to put together a lot of things in one single platform without messing things up. This web service is neat. Even the mobile app version is very user-friendly. You need very zero prior knowledge to get along with this tool. It is a great place to keep your students updated about their progress in their classes. I am a Ph.D. student working as a TA. I can check my progress on my graduate courses on Blackboard. At the same time, I can also manage the Labs that I am teaching. I can notify my students, manage their grades all on the same platform. Moreover, the security is very good in this tool. There is nothing I dislike about blackboard. However, they can improve the GUI on their Android app version. The downloadable version of the grade section can be improved as well. Whenever I try to download my students' grades on a spreadsheet, it gets a bit messy. But that can be excused. It is a very good tool that can be used for academic purposes. I will highly recommend this product to all the Universities and College programs. In the University of Arkansas, all enrolled students and faculties use Blackboard. This serves as a digital interface between the students and faculties. If a class gets cancelled, professors can notify students using Blackboard. The app version allows the students to get notifications instantly. Students can check their assessments using Blackboard. I normally use this platform to grade homework and lab reports of my students. They can submit their reports using blackboard as well. "A great user friendly "
I have been using Blackboard for education since version 5. Blackboard do a lot of updates and improvement to product. I like that this learning management system is very useful friendly and straightforward to learn for both students and instructors . A lot of options for instructors to choose from like creating blogs , journals , wikis and discussions boards for students all in one place. Blackboard do a lot of updates sometimes an update may create a bug and need another update to fix! I recommend that survey their users for needs and then implement a trial period in order to reach a final decision if this is the right consideration for them. Blackboard has been the solution of enrolling a large number of students in online courses . It has a good integration with registration software were students are automatically (may take up to 24hrs due to snapshot) enrolled in blackboard course shells after registration . "Easy Nagivation with Blackboard Learn for college"
The best part of using a software such as Blackboard Learn, is being able to group all the courses into one website for easy and quick access.. It makes it easy for students to go to a course in Blackboard and have all the information a professor has in to review online instead of having the professor print any necessary information students need to know. If you are new to using Blackboard Learn, it can be kind of confusing and difficult to navigate through and learn the basic of the tabs. Each professor creates and sorts their documents and other mataterials in different ways. For professors that don't use Blackboard, it is a great and easy way to put all the course work in a file. Sometimes there are problems with being in the middle of a quiz and the timer incorrectly running. IT is working on fixes for that. "Jack of All Trades! (Master of None)"
Blackboard is capable of many different functions. It's LTI compatible, works with many other external systems we have, and it has several internal tools. Faculty can create Discussion Boards, build wikis, host meetings within BB Collaborate Ultra. Blackboard can facilitate almost any idea faculty have for lessons within their courses. What I like best about Blackboard is also what I see as it's biggest problem: its many functions. Yes, it does have discussion, but no one really wants to use it because it feels impersonal. (My university integrates YellowDig to fix this, which has a more appeal aesthetic because it feels more like most social media platforms) Since we don't really like most of the features, we end up integrating several LTI tools and Building Blocks. This proves to be costly. I know several people would like to switch to a different system, but too many people are content with Blackboard despite requiring us to buy extra tools. I wouldn't say that Blackboard is the worst option for LMS's. However, I would either find a different LMS or go with Blackboard Ultra. If you settle with vanilla Blackboard Learn, you may not be too happy with how your users respond to it. Therefore, you many end up adding/paying for several add-ons for the system. The add-ons work, I just wish that things like discussions, wikis, messaging, etc. were more intuitive and appealing to students. Not to be too mean, I do appreciate how easily other systems are able to work with Blackboard. We use ilos Video Platform, and we were able to link the two using Blackboards Mashups, SSO, and a new integration that allows instructors to link their quizzes from their ilos Videos into the Blackboard Grade Center. It's not the worst LMS; it's just not the best. We're a public university, so we host almost all of our classes on Blackboard. It's nice being able to guide students to one centralize location for their courses. Additionally, my university hosts a rather large dual-degree with two international universities. Being able to leverage Blackboard's online space helps us keep enrollments up and problems down. I would say hosting our online courses is the greatest benefit of using Blackboard. I like the many options for creating a variety of activities for students. I like that Blackboard makes it easy for instructors and admin to follow. Blackboard is a great platform for students of all ages. We cater a lot to older students because our program is all online and they have reported all good things. The classes are easy to use consistency in because everything is/ can be based on a template. I dislike that accessibility is limited based on your role. I dislike that as an admin, I control almost all of Blackboard for my online faculty and they have to come to me to change anything. I do not like that Blackboard has glitches often. We are using Blackboard learn to solve the problems of online learning. Blackboard has created a tremendous platform for students of all ages to use with ease. Blackboard has a lot of options for managing classes, organizations, training, etc. I think overall it has a lot to offer. For our students, it provides a lot of options to manage their classwork, set appointments with staff members, and see other organizations and class activities. Students can add their activities and student organizations in, to make it easier to send emails and create events. Staff can also use it to work through self-paced trainings and to find trainings to take. It really has an outdated function and visual look. I used Blackboard in college almost 10 years ago and I feel as though it hasn't changed at all in it's appearance since then! I am not sure if that's because of the settings our college has it set on, but overall it just looks very out-dated. I think if Blackboard updated their look, such as better color schemes, more friendly links, etc., they'd be much more competitive. 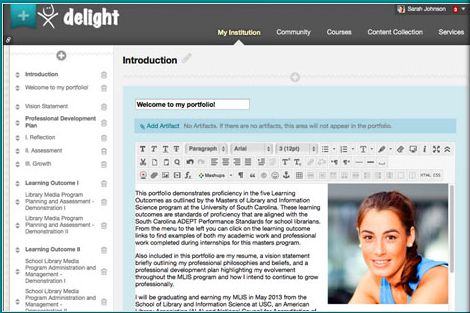 Blackboard offers the ability to sync with other programs and widgets, such as Starfish. For our students, they not only can use Blackboard to manage classes, but they can also use it to make appointments with advisors and other individuals within the college. I think it gives us a lot of options to offer our students, faculty, and staff. For faculty, it's easy to organize classes, manage grades, discussion boards, and tests. For staff, you can offer different trainings and manage organizations. For students, it provides "one stop shopping". "It works. That's about it"
I like that blackboard has seemingly limitless features. For a professor who is willing to put the hours into training and course building, it can be an amazing tool. I would write more, but there's nothing more to write. Blackboard has so many features that new users would never figure out on their own. It is not especially user-friendly, and it is entirely horrid on mobile devices. Blackboard can be, to a lazy professor, a great tool, because it is nearly impossible for them to build a really decent course without specific personal training. Blackboard does not coordinate well across different devices, and is difficult for students to use unless they have the exact materials. I wish Blackboard were easier to integrate into other popular learning platforms, such as Pearson MyLabs. Honestly, I would consider something else. Blackboard has a lot of work to do in order to catch up to 2018. I would recommend, to all adopters, to have a very strong training program so that all users are aware of all features. Without this training, it would be nearly impossible to get your money's worth out of this platform. It is completely necessary to have good trainings in order to use BlackBoard's biggest strengths. 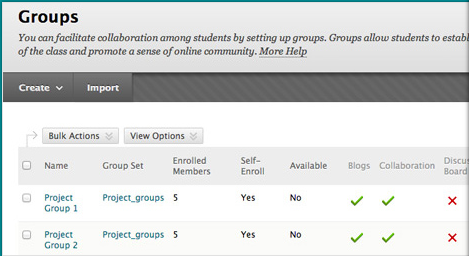 I use blackboard to build online courses and organize group work across our campus(es). I enjoy that it has a lot of features, though it is not especially easy to find all the features for a new used. I think blackboard has a lot of available assets like calendars, announcements, grades, quizzes, message board, etc. I did like having all my grades in one place. Taking quizzes within blackboard was always easy and user friendly. I think the organization of tools could have been done better. And because different professors use it differently, this made it less of a useful system. Another issue was you did not always see notifications unless you logged in. If I didn't have a reason to log in to Blackboard one day and something was posted without my knowledge, such as an assignment, I would not have known it was there. If you choose to use Blackboard, try to have a consistent level of use across teacher, at least as much as possible. Blackboard Learn was used to keep most aspects of classes in one place in an effort to keep things organized and easy to use. What I like best about Blackboard is when professors actually utilize the program and post resources or lecture slides on their. This allows you never miss out on notes and feeling confident in the class because you have the resources available to improve your notes or take notes. This truly gives you a better chance of passing the class with a better grade. What is also nice is that it can send out warning on the computers if something happens. What is also great is when you have online classes it provides a sense of community for the class and allows you a way to interact with others. What I dislike about Blackboard is that we have glitches or the system goes down here and there. It can just be inconvenient and annoying that it has these issues at times and its never expected. Great program just give it time and you can unlock its full potential. It was a management system to be able to connect students to professors and improve online courses. It provides a community for classes that do not meet in person. There are so many options and different ways to accomplish objectives. Learn Original Experience/course view is versatile because it’s extremely customizable, with innumerable integrations, and instructors can develop courses at their preferred level of complexity. SaaS environment model does not seem to be “finished.” New to the model (though long time Learn clients) but not too impressed with level of service so far. Doesn’t seem especially reliable or secure and find it frustrating to be at the cutting edge, going live with untested releases (having to find all the bugs). Enormously grateful we haven’t switched to Ultra Experience, at least, which is totally confusing and not particularly intuitive for longtime users of the original experience. Large gap in features between original and ultra, though they are slowly adding features to Ultra. Also, although they say original isn’t going anywhere for the foreseeable future, it’s clear the vendor is focused on Ultra dev and Original is just not a priority anymore, so expecting to see a decline in the development of original and address of issues affecting original. Definitely invest in higher levels of support. Recently my company dropped the extra support due to budget concerns and functional team immediately noticed a decline in the service level and quality of support (seems to be outsourced for non-premium clients). Online, blended and traditional courses use LMS to present course materials and assess student learning. Significant amount of staff/employee training and administrative use cases as well, including a badging/micro- credentialing and professional development program for employees (non-faculty). Recently seeing projects focused on student retention and success, as well as programs to develop qualifications and credentials for post grad studies and/or careers. "Easy to use software, many plugins available"
Easy to use software that does everything we need in a LMS software application. Communication and outreach are superbly easy utilizing this software, and it has many connections/plugins available to tie in with other software options your company may be using. User to use communication is easy to use and fairly straightforward. We haven't had many issues on the user side that I am aware of, and the experience that I have had has been good overall. Educational outreach, student assessment and communication, file storage for classes/groups. As an instructor, it is important for me to keep my classes and all my course content organized and accessible to my students. Blackboard Learn allows me accomplish both of these tasks easily. I love that I have the ability to create specific content folders wherein I can upload documents and videos for my students to access, and I love that I have a lot of space to do so! I am also so impressed with the wealth of resources available to import to my own class, like discussion boards and ready-made quizzes. I use these as templates and edit them so that they are tailored specifically for my class. Overall, I love Blackboard learn! Sometimes it is difficult for me to figure out how to use Blackboard Learn. For example, it took me a while to be able to organize my gradebook so that it was to my liking. I also sometimes have difficulty copying course content from one class section to another. While I have been able to navigate these issues, I do wish there were tutorial videos available for Blackboard learn. I solve the general problem of creating and organizing content for my students that is accessible and affordable. Blackboard learn allows me to neatly post and organize content for my students, and they have access to this content throughout the course of the semester. That being said, the benefits to using Blackboard learn are astounding. "Blackboard is well-organized and easy to navigate"
My favorite part of using Blackboard is the column on the far left side that allows you to click between different aspects of the site. You can see all of your classes in one place, all of your messages in one place, and even a calendar. Professors are able to customize their class sites to have their own menus on the lefthand side, making the organization structure appropriate for each class I'm in. On my courses page, the courses I took last semester appear before the one I'm in this semester, so I'm always having to scroll past old courses before I get to the new one. I would look around at other services first, but ultimately you should consider the fact that Blackboard allows you to customize your pages based on what class is using it and what class you are teaching. I would also make sure that your organization is all using Blackboard Learn. It gets a little confusing if within your organization, you are all using different softwares. This does not make it easy on the student. In university you're always trying to solve the problem of how to best communicate with your professors. Blackboard allows professors to easily organize content in a nice way for the students. 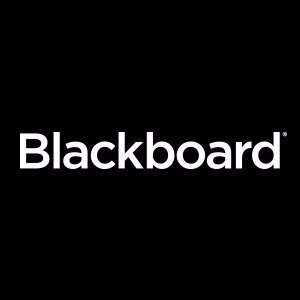 Blackboard is an excellent platform that serves to manage more easily a course or several courses, where students can stay informed about their progress and classes in general. It is a very flexible and easy to use application if you know how to manage in the right way, it also gives you the option to create discussion forums for students, organize meetings, transmit information and many other resources that we are discovering little by little. In general Blackboard is a multifunctional academic learning platform, with a simple and easy-to-use interface. Blackboard has many tools, some perhaps not used by many people, this makes it difficult to use sometimes, so we do not know how to configure and use all the resources offered by this unfeasible application and another negative point is that it may seem a bit old , I think that since I discovered Blackboard, it has not changed its appearance a bit. If you want to keep the order of your courses in one place, Blackboard is the best option, besides being a simple and fast way to keep your students updated with respect to their classes, notes and activities, start using it in the mode of Free trial and evaluate if it suits your needs. Before it was a bit complicated to keep students informed about their grades, assessments, meetings and other academic aspects, since we are implementing Blackboard and that issue is no longer a problem, we have also improved online learning, we inform students, We create discussion forums and best of all, it serves several age ranges. "Clunky, but gets the job done"
I like the notification box displayed at the top of the screen to keep track of new course material and grades. This feature makes it easy to view all course notifications in one place and review past notifications. I additionally like the ability to organize course material into folders within other folders for ease of finding pertinent material. Blackboard Learn also conveniently emails you when you've uploaded assignments throughout Blackboard Learn and when there are new course announcements. Blackboard Learn is not user friendly. The way Blackboard Learn is displayed on computers, mobile devices, and the Blackboard Learn app is incredibly inconsistent. The main screen for Blackboard Learn after logging in on a computer is cluttered and overwhelming including links to content that one rarely needs to access. I wish the main page on computers was simpler (similar to how it displays on the mobile app) and only includes links to current courses. In addition, I have had issues uploading assignments. Typically this feature works fine, but once my document was completely blank after uploading to Blackboard Learn. This resulted in me having to email the professor the assignment directly and made grading more difficult for the professor. After this incident, I no longer trust the assignment upload feature and constantly check to be sure it worked, as I would not want to receive a poor grade simple because of a software issue. I have used both Blackboard Learn and Canvas, and I definitely recommend using Canvas instead of Blackboard Learn. Blackboard Learn seems to be equally as clunky and inefficient as it was several years ago, so I don't anticipate it changing for the better anytime soon. 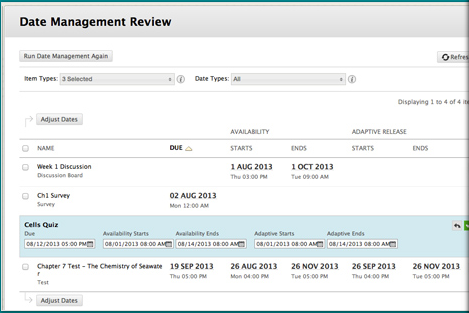 Although Blackboard Learn is clunky and annoying to use, it meets my needs of accessing course material and grades. I am able to view all course material in one place, and I enjoy the real time updates of grade notifications when out of the classroom. "Blackboard is the best is perfect for educators and students! " Blackboard is absolutely amazing! I use blackboard every day as a student and as an instructor! As an instructor, I am able to interact with all my students at the same time. I upload all my powerpoint, homework, assignments, book chapter, etc! Al they need to each of my classes! They can see their grade and I can update every time I needed! As a student, it makes me feel organized and I can keep track of all my grades and assignments. I am glade I can have it in my computer and in my phone! Whenever I need it, I can just easily access it! I use Blackboard everyday and all its features! My students can see deadlines and be always informed about assignments and what they have to do for the next class! Also, I can easily access the classes I have already took or taught in the pass! This gives me the possibility of reusing material or access my previous students' assignments. If a student at the end of the semester complains about their grade, I can easily go to Blackboard and show them their progression! There is nothing I dislike! I think Blackboard works perfectly! Use Blackboard! It will change the way you teach! My students were always complaining in the past that they did not keep track of their grades and blackboard is perfect for that! Instead of giving them a weekly report, they can just go to blackboard and check every time they need it! 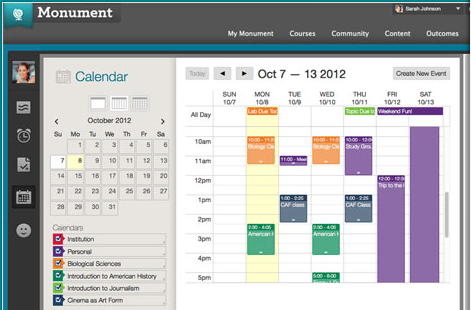 "Convenient Tool for Managing Classroom & Other Student Activities "
Blackboard is pretty user-friendly. Our IT department uploads students to classes, so from the user perspective, it's simple to use. You can add test and exams for students to complete via multiple choice, and the system automatically grades them for you. They also have a great platform discussion board threads. While our IT department does upload student users to classrooms, it can be hard to navigate when a student is not listed because they signed up for a course too late. I also wish there was an option for video chatting. Consider using Blackboard if there is technical support at your institution or company that can support technical issues. Blackboard is great, but a part of my experience is due to the fact that I don't have to troubleshoot technical issues myself. It helps manage students that are enrolled in online training programs or classes (online or in-person). It also helps with grading and seeing who has completed training requirements. "Collaboration between Teachers and Students." Blackboard beats the competition - hands down. I've used this software for over 3 years as a student as well as teaching assistant. They constantly improve the software. It's very fluid. Grading is a breeze. .Likewise, it keeps my students in touch with me - and each other. There are so many options for creating assignments, allowing students to view content, or interact with each other. I love using Blackboard Learn. love the ability to reach all of students or any subgroup in multiple ways. For example, personalized announcement, group emails, meeting and grading in realtime, scheduling office hours, and getting notifications are just a few of the native services, and each can be customized. I believe that blackboard is a good system, but it could use some improvement. It is only as good as the instructor who sets it up. blackboard is easy to use, but if the instructor is not computer savvy (or lazy) then you can have a difficult time using the software. Blackboard's ease of use has made Blackboard an everlasting tool at our school. It's a great product! Finding all my grades were easily accessible. "Great software with complex capabilities. " Blackboard is very easy to use for multiple functions. I am able to upload documents, sort them, customize the look and feel of my coursepage, add links, and update grades all in one place. I am also able to message students right in the platform. It's a very integrated platform that's easy to use and allows me to do multiple things in one, convenient place. Blackboard's design is a bit outdated. The platform itself could look a little more modern. Also, I have experienced some technical glitches in the past. I would definitely recommend this software. I have previously used other platforms such as Angel and this is by far the best. Blackboard allows me to perform my job as a teacher with ease. It allows me to keep all of my course documents, assignments, grades, and everything else that I need in one place. It's also extremely customizable, so I can alter it to fit my needs. "The best educational tool for your students"
Blackboard is user-friendly. Very flexible to post student material, announcements and even do exams online. You can easily assign different permission levels to faculty and students. Weights can be added to exams and assignments, thus adding up to the full course grade. Easy to navigate and compatible with any browser. The application can easily be configured to connect to the LDAP. And it is mobile friendly!! It is hard to mention weaknesses in the functionality of the application. I would suggest a more colorful interface. I believe it is worth trying. i recommend educational institutions to contact blackboard and ask for a demo, as well as possible offers. Blackboard eases the collaboration between student and teacher. Students can attend classes through BB collaborate tool. They can post their assignments and exams, add notes, do exams and get all these graded. The answer key can be added to the BB exam for immediate correction and display of the grade after it is submitted. "Great place for course integration"
What I love the most about blackboard is that it is so easy to put all your course content in one place. It is very easy to access as well. I love that it can tell you your grades, due dates of assignments and send reminds for assignments at a time as well. I can also easily manage my work-related documents and training on blackboard just by clicking on the organizations that I am a part of. I love you that you send mass email and make announcements for everyone to see it as well. Overall, it is a great place to have all your course content in. Blackboard does not work well on phones or on the app. I have had issues with submitting .zip files for my assignments as well, and it does not really incorporate videos properly. It does not really have any exceptional features but it is a good place to have everything together. I would definitely recommend you to check your blackboard often. I use it to contact my students as their tutor, and I also use this for accessing my own courses. I go back to it frequently to keep a track of all my academic records and it is very helpful. "Blackboard Learn - User Experience"
I like that Blackboard is always accessible. You can log into the platform and see announcements from professors and colleagues at any time of the day. It also has a discussion platform, for people to communicate. The dialogue aspect of blackboard is the most valuable aspect of the program. If I were to add anything to Blackboard, I would add a video feature - where people could engage in video chats in discussion boards. In addition, when first starting with the program, it can be difficult to navigate. So, if there were a way for the program to do a walk through of the site, and where things can commonly be found, it would make it more user friendly. In addition, there should be features to make it customizable. It could also be improved by linking with other platforms such as google calendar. I would have the potential users of the program go through a training together, in which they have a set time to work on navigating the platform in a shared space. Blackboard has been pivotal in addressing the problem of student user accessibility to material, especially in cases where users cannot physically meet, but would still like to contribute to the work tasks at hand. One of the benefits of using Blackboard is that all of the people within a team or on the same page, and have a similar viewing platform. There are only a few features that I like about blackboard to be honest. It is good for classroom management, it gives you reminders for your upcoming assignments, and it is easy to create announcements on blackboard for your students. It is also quite popular ad the centralized education management system for the university, so everybody uses it. There are a lot of things that I dislike about blackboard. To start with, it is filled with bugs! It does not work on my phone and a lot of my students have complained about that as well. The text boxes don't expand when you type which makes it hard to see what you are typing. It also has bad syllabus integration system which misleads a lot of students. Frequently blackboard maintenance is required by the university, which prevents access to the entire website all day! The app for it is a horrible implementation as well! Definitely needs help. I use it to upload course content for my students; I am their Teaching Assistant. I also use it to access my own courses. It is easy means of class management. "Very functional, but steeper learning curve. " It's efficient with few distractions once you figure out where to find what you need. I have used it only from the standpoint of a student, and until I figured out where the items needed were located, it was a confusing experience. However, once that is figured out, Blackboard Learn manages an online class as good or better than other software I have used, and especially better than the competitor made by Edmodo. The software looks dated, and the forum function has no innovated features or design. The first time I used the software, the layout and the links were easily labeled or placed, and I felt like there was a steep learning curve to becoming efficient in the program. Simple, efficient, gets the job done. I am able to take part in virtual online book studies and professional development classes using Blackboard Learn. Blackboard does an excellent job at class management for my own courses at TAMU as well as to maintain my tutoring documentation, tutor training, and compliance training records. It is easy to look at submission deadlines and keep track of what's due in the future. There are a lot of things that I dislike about blackboard. It is VERY BUGGY. It does not work well on my android phones and I cannot even request for support services for help. It also auto-calculates the grades for my students for the tutoring assignments which does not match with my grading policy. This ends up giving them wrong information about their progress. I constantly receive emails regarding phishing done on blackboard as well. It also does not support extensions like .c or .zip or .tar files which, as a Computer Science student, I have to use a lot! I would really like them to work on these features. If you can find some other classroom management app, then definitely go for it. I use it to maintain my class records and job records. It is an alright website to keep track of the stuff you have due. Blackboard is a genius platform for classroom management, content listing and assignment submissions. I constantly use this to communicate with my students and update them about my lectures. It is very easy to create announcements, and assignment submissions. The file sharing and discussion board panel are amazing features which make group collaboration very easy. I also love how it separately lists out the organizations where you work on campus so that it does not collide with your actual classes. It is a very organized website. Blackboard has a lot of bugs and does not work well at all on android or iOS platforms. The grading feature in it needs help as it does not integrate my grading criteria even when I try to set it up. Instead it ends up creating false grades which is very misleading for students. However, it still is an amazing tool for communication. Definitely use it for course management. I use it to upload lecture notes and assignments and exams for my students for organic chemistry. It is generally a great means to have all the content in one place. "Best place to integrate everything!" As a student as well as a teaching assistant, I like blackboard in general. It is a best place for the professors and the students to communicate like the scores are uploaded, the grades are made visible as well as the assignments are made available to the students on blackboard. It can be even further changed to grant or deny permission according to their email addresses. The app version gives me notifications on the way when the assignment or any grades were posted on the blackboard for a particular subject. Interactive platform. Blackboard is great for providing a clear and organized view of all of the courses we take along with the work related training. It is easy to submit my work like assignments, projects, check deadlines as well on the course page and access course materials like pdfs, etc.It is also a great place to check our grades, progress and and stay updated with your progress in the course. It is definitely a required portal that every university must have for the students. It is good with IOS but the android version of the apps gives you lot of bugs or even gets frozen. It doesn't support all types of files like .tar, .c, .gz etc. there are lot of issues with the app specially, when I access it through my phone as my screen is much smaller and options on the app seem to overlap. I also can't scroll through the menu options properly. Use the desktop version and not the app. Blackboard helps me solving the problem of submission of my assignments or other documents as compared to emails which are less reliable and can have spam issues. It helps us to have everything in an orderly manner. Blackboard is great for providing a clear and organized view of all of the courses we take along with the work related training. It is easy to submit assignments, check deadlines and access course material through it. Blackboard also is a great place to check your grades and stay updated with your progress in the course. It is definitely a portal that every university must have. Blackboard is very buggy! It does not open well on android platforms. There are a lot of phishing reports regarding blackboard as well. I have also faced difficulties in submitting my .tar or .c files for assignments through blackboard just because it does not support the format. Try to use it on your laptop definitely, instead of the phones. I have used this for my classes at university and for my workplace where I tutor. It definitely is beneficial in the sense that it provides you easy access to all your courses, but it definitely needs some work when it comes to the software. "Great platform to organize University courses"
I like the convenience of having all my courses at the same place. It is definitely easier to manage and organize course materials and grades. Recently we had to give a presentation in class and everyone submitted the Power point on Blackboard. All we had to do was log in to our Blackboard accounts and access the PowerPoint. It was very convenient and fast. there was no hassle of emailing or having to bring a flash drive. Sometimes the website does not work well when I access it through my phone as the screen is smaller and buttons seem to overlap. I also can't scroll all the way properly. Another small thing I don't like is how it still says I have a notification even after I checked all my notifications. It makes me anxious. It is a very convenient tool and they keep on updating their features and fixing their bugs which is making this product even more efficient. Blackboard solves the problem of having to submit assignments or other documents through other medium such as email which is less reliable and can easily be hidden to sent to spam. The discussion section has helped us discuss our ideas efficiently and in an orderly manner. I do like the ease of grading and posting. I don't like the hoops I have to jump through. It is certainly useful and it has a lot of neat options and benefits. I would definitely recommend using blackboard. Just make sure you get TRAINED! There is so much you can do with it, but if you don't know about it, you aren't using it to it's full ability. Look for free online videos or your organization to get training. I like that Blackboard tracks EVERY CORRESPONDENCE that is sent through BB. It certainly helps when you have students who are dishonest. I don't like that it isn't a more user-friendly interface, but I guess something with this much capability wouldn't be easy to make... well easy. THE BEST PART, you can copy your class into a new course! You can select what you want to move and what you don't, which means you aren't constantly starting from scratch! This is an effective and efficient tool for teaching. I use the assessments, journals, discussion, video and media capabilities, and all sorts of tools. It makes teaching hybrid a breeze and organization of a class is so easy! I love the tools offered, the resources that are built in, and the way we can post announcements on Blackboard, like if there were a scary situation on campus, we could inform students through BB. It's good overall, but could use some updating and be made easier to use from the instructor side. The benefit is the ease of setting up, running a course, tracking information, and responding to students. "Adequate study/class tool, but there are better alternatives"
Blackboard allows students to look at their grades, obtain class materials, and submit homework assignments. I like that blackboard is intuitive and very simple to use. I have never had any issues downloading materials or uploading assignments. Also, the organization of class materials is easy to navigate. 1. The canvas smartphone app makes it easy to check grades and announcements while on the go.There is no blackboard app. 2. In Canvas, you can message classmates to discuss class material, but this feature is absent in Blackboard. Those are probably the largest drawbacks. Blackboard is a little more 'bare bones' than Canvas. Blackboard is easy to use and reliable, making it a good choice for online learning. It is easy to download materials, look at grades, view important class announcements, and access the class syllabus. However, there are some drawbacks--students cannot message one another to discuss class material, and there is currently no phone app for Blackboard. Compared to other class management tools such as Canvas, blackboard is a bit more stripped down. Blackboard has helped me with on-the-job training, as I need to submit assignments for work - related classes through blackboard. I have also obtained useful class materials through the blackboard interface. Overall, Blackboard has helped me to be more efficient in learning class material and submitting assignments. In addition, I am updated immediately when teachers post important class announcements through Blackboard. "University Course Organization Made Easy!" Blackboard Learn allows me to keep track off all my courses during a semester and have all the tools necessary I need to succeed. All course material, announcements, and assignments can be found on blackboard should your professor choose to use it as such. Being able to turn in assignments online and view grades is also very useful. My main complaint about Blackboard is that in the past there would be a lot of connectivity issues. Often I would see Blackboard being down for both updates and unexpected occurrences. Always questioning whether the site would actually be accessible was always an important thing to consider, especially given time sensitive assignments. Professors would also often have trouble utilizing the site to get materials to their students. Consider Blackboard as an option for an education platform. The Blackboard team has been constantly updating and improving their product, so I would definitely at least check it out. Blackboard is great choice for any education focused business or for just universities/schools in general. Online resources are a great alternative to cutting back on paper usage and constantly having to prepare handouts for class. Blackboard saves both time and money for both professors and students! 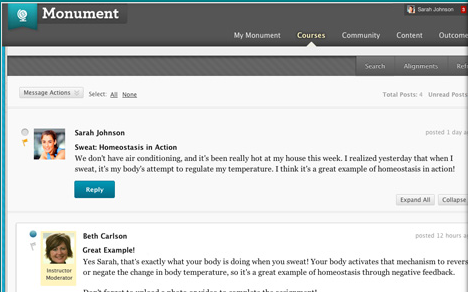 Blackboard allows me to create online class portals that engage students in learning. The platform allows me to customize my classes to include a number of multimedia content options. Blackboard also allows me to grade and provide feedback to my students in an easy to use, timely format. I know that there is some added features to the software. Specifically user data. I wish it was easier to obtain user data from the course. I also dont like that the format/color options are sometimes limited, however I am sure if I took the time I could learn to handle both of the issues. Blackboard allows me to reach a larger number of students due to the online format. It also helps with the deliver of in-person classes because you can upload and maintain course content for students. It also saves time because I can administer tests and other assignments online and do not have to physically be anywhere. "Student review of BlackBoard Learn "
BlackBoard Learn allows me fast and easy access to all of my courses. Right now, I am a full-time online-only student so accessibility is important. Blackboard Learn allows me to communicate daily with my professors and fellow students outside of email. The general layout is easy to read...basically everything that you need is at your fingertips. This is a must for all college students. I have not came across anything that was of great distaste about BlackBoard Learn. Blackboard Learn is a phenomenal tool and resource for online learning. Whether you're a full-time online-only student or split your classes to both campus and online...Blackboard Learn is definitely a staple for college life. I don't solve any business problems with Blackboard Learn. I am a college student. Blackboard allows me the ease and accessibility that I need to pursue my education via E-Learning. BlackBoard is relatively user friendly for both faculty and students (from what I have heard from my own students.). It can be accessed both on and off campus, as well as on a cell phone with internet or tablet. Grading can take place right on BlackBoard, without the user having to download the submitted assignment. This saves time and room on my desktop! One really great feature is that you can check for plagiarism through one of the options offered for assignment submission. Student papers will be compared to their peers, as well as papers that have been submitted in the past, and I believe can be compared to published documents. At times it can be tricky to set up things like group pages (for submitting and grading group assignments) or even personal pages (for individual students to submit files), but I have found that our BlackBoard technical services have always been able to walk me through anything I'm having trouble with. One other sometimes difficult reality is that "upgrades" often take place which shuts down access to BlackBoard; however, most times this occurs late at night or in the early hours of the morning. Give it a try! The only other platform I've used is Moodle. When switching, Blackboard took some time to get used to, but overall, I do like it. I haven't noticed any "business" problems with BlackBoard. I have been using it for over two years. Overall it is a support to student learning. I am able to post PowerPoints, reading assignments, journal prompts, discussion boards, and even send out group emails through BlackBoard. Compared to other learning management systems, such as Canvas or eCollege, Blackboard seems to be the most customizable. With Blackboard, you're not obligated to format your course into modules. Modules can be very restricting depending on the content or flow of the class, so having the freedom to create an open style (non-modulated) is very beneficial.. Not only am I able to organize the course how I want, but there are always ways to customize the design and feel, plus there are a plethora of add on extensions that can be integrated into the course. The internal e-mail systems has some hiccups. For one thing, it's not placed in an easy-to-access location on the page. In order to e-mail students, or groups of students, I have to click through a series of subfolders within the Course Management section. Likewise, when I send an e-mail through Blackboard, it doesn't default to also send me a copy. Unless the small checkbox is selected, there will not be any type of record that the e-mail was sent. Lastly, I wish there was a more detailed log about when students accessed the course...as it stands, you can only see when they last logged in. It would be nice to have a full record of their sign-ins in order to establish a pattern of time management. Dedicate a day to building a course from a blank shell. It's the best way to learn all of the tricks Blackboard can do, though there is an excellent library of support available online as well. I'm in the business of higher education, so Blackboard provides me with a way to teacher students with online or hybrid content. The benefits are that I've formatted my course to not have a textbook, and instead provide all of the required materials directly in the course in the form of videos and PDFs. This saves students money!